We love a good day out and in Kent we are spoilt for choice – there is so much to see and do we tend to forget what’s right on our doorstep. 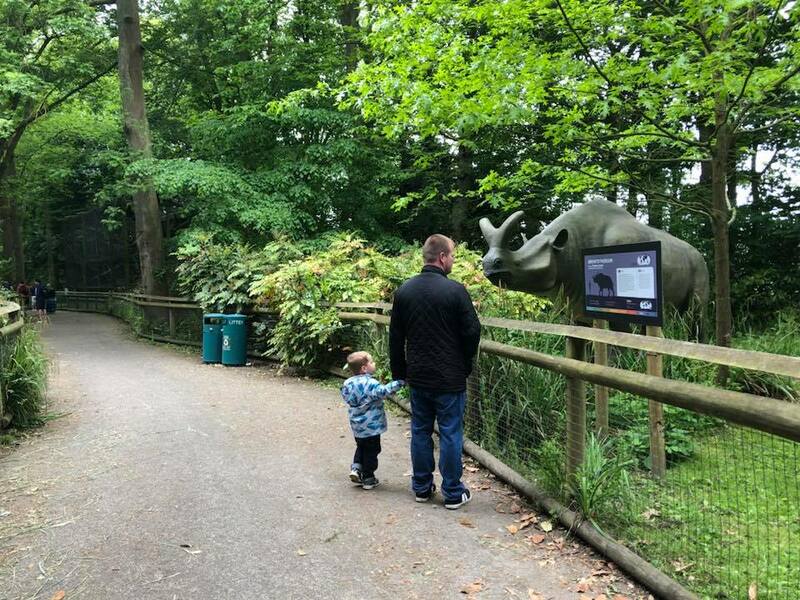 We’ve been about a bit recently; last week we checked out Paultons Park and we are off on our holidays soon to beautiful Cornwall – I’ve tried to make an effort recently to get out and do more; especially when my anxiety and AS is bad. 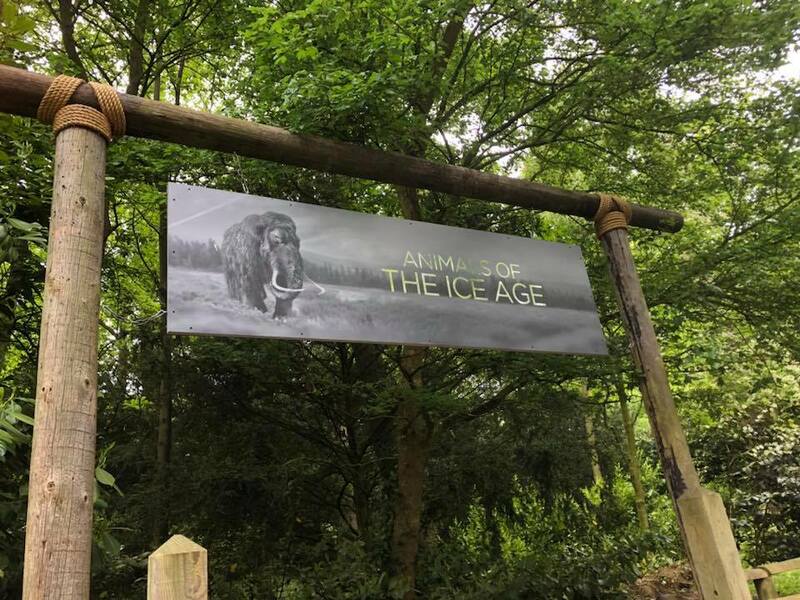 We visited Howletts Wild Animal Park last year and we were intrigued by the new Animals of the Ice Age exhibition; it sounded a bit out of the ordinary and worth a look. 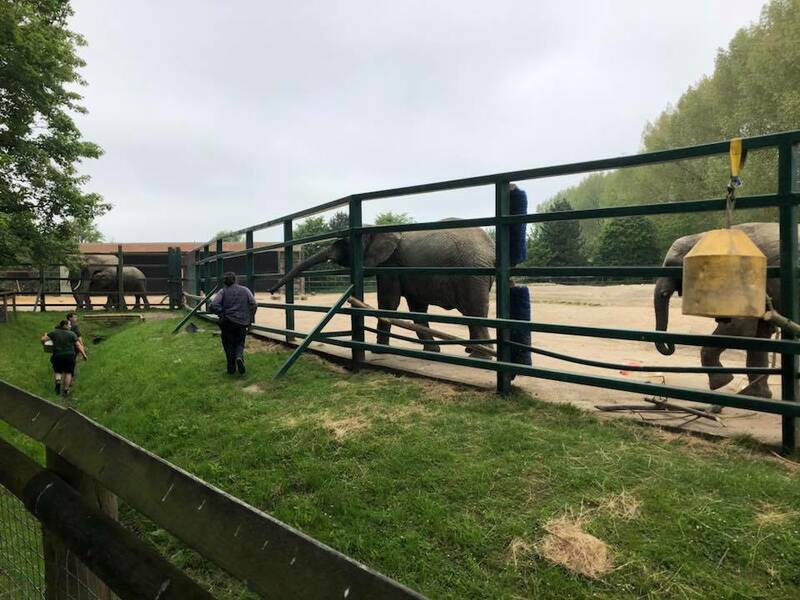 Howletts Wild Animal park is one of Kent’s most popular tourist attractions and has over 400 animals including elephants, tigers, gorillas, monkeys and leopards. Started back in the fifties by John Aspinall it is now owned by and working closely with The Aspinall Foundation, a world-leading conservation charity passionate about breeding and protecting rare and endangered species and releasing animals back into the wild where possible. Howletts is near Canterbury in Kent and it’s sister park, Port Lympne Hotel & Reserve is near Hythe, Kent. Both parks are run by the charity and rely on visitor funds and donations to continue carrying out the work they do. We arrived for opening time on a sunny yet chilly Sunday morning and headed for the elephants. if you arrive early you can catch the keepers moving the herd from the stable-like area out into the paddock. Coco was a highlight for us – he/she didn’t want to play along and decided to stand up and eat the trees instead! Next we wandered past the tiger enclosure and one of the tigers was stalking a particularly brave blackbird that was eating his meaty breakfast(do birds eat meat?) 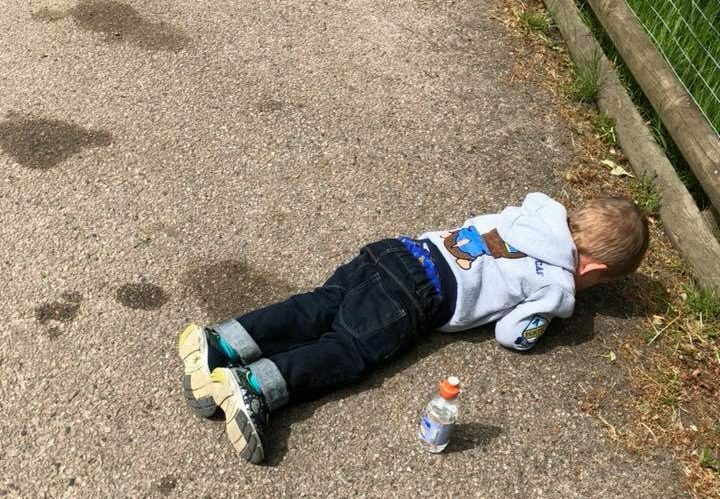 and having a roll on the grass. 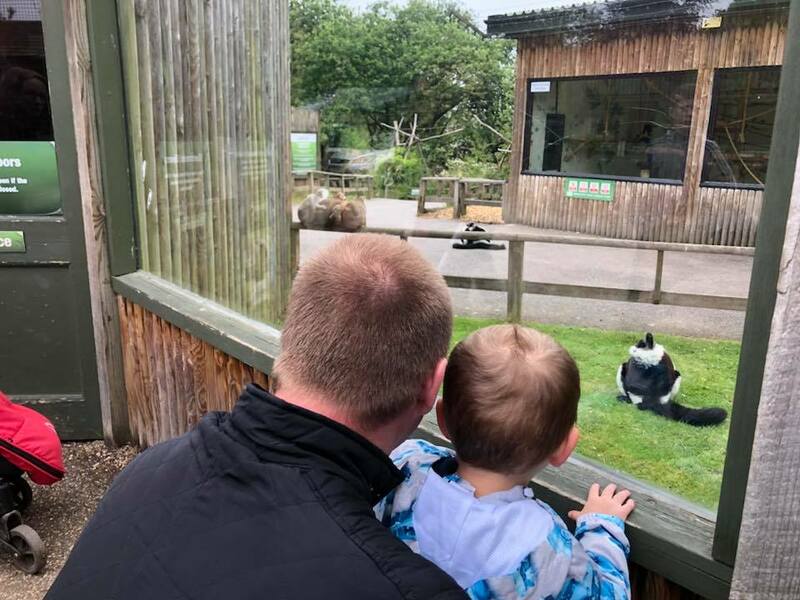 You can walk with Lemurs too – the boy loved spotting them. 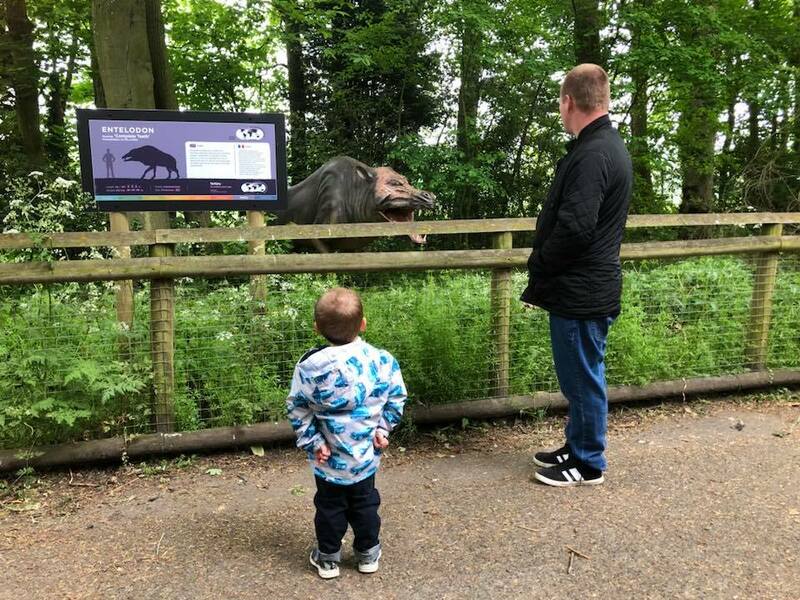 The Woodland Walk has always been a bit of a running joke for us as it can be hit and miss whether the animals are hiding or not; and it has recently been enhanced with the brand new Animals of the Ice Age exhibition. I’ll admit I was slightly baffled as to how an exhibition would work in a wild animal park – it seemed like an odd thing but I was really surprised, it’s awesome! As you head into the Woodland Walk you see a sign above your head that indicates that you are among animals of the Ice Age(not real ones, obvs, how many woolly mammoths have you see chilling around the UK) – and around every corner and hidden among the trees and bushes you will see life-size and (what is believed to be) true-to-life models of Ice Age animals such as woolly mammoths, sabre-tooth tigers and my favourite, the ‘giant beast’ – a huge bear-sloth type creature that is licking a tree. With every exhibit there is an information board with fun facts telling the story of the animal kingdom as it was over 2.6 million years ago. Age wise I was pleasantly surprised; I would have assumed that my three-year old would have been bored but he loved finding all the animals and telling us what he thought they looked like – the Doedicuris is a doggy-tortoise apparently. It’s great fun for the whole family and is included in the admission price. 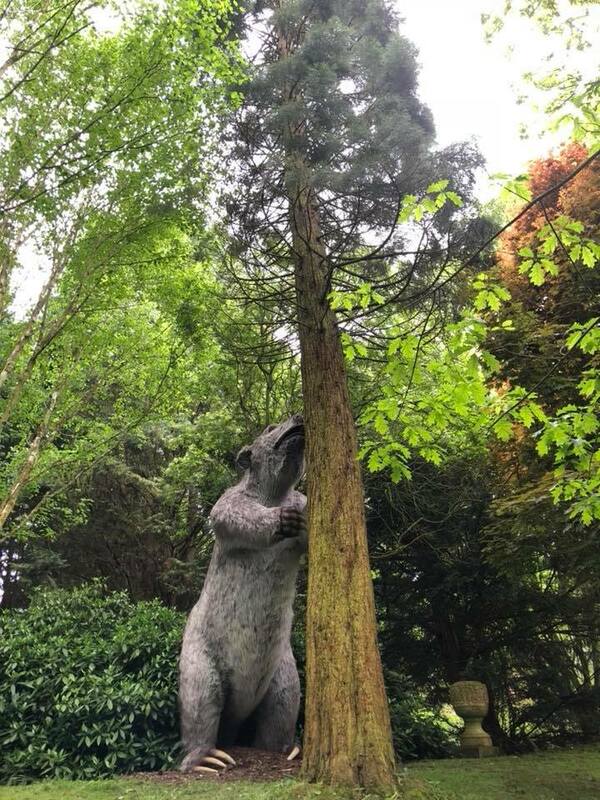 If you spot the escaped woolly rhino take a snap and post to social media with the hashtag #IceAgeOnTour to be in with the chance to win some goodies including a family pass to the park. 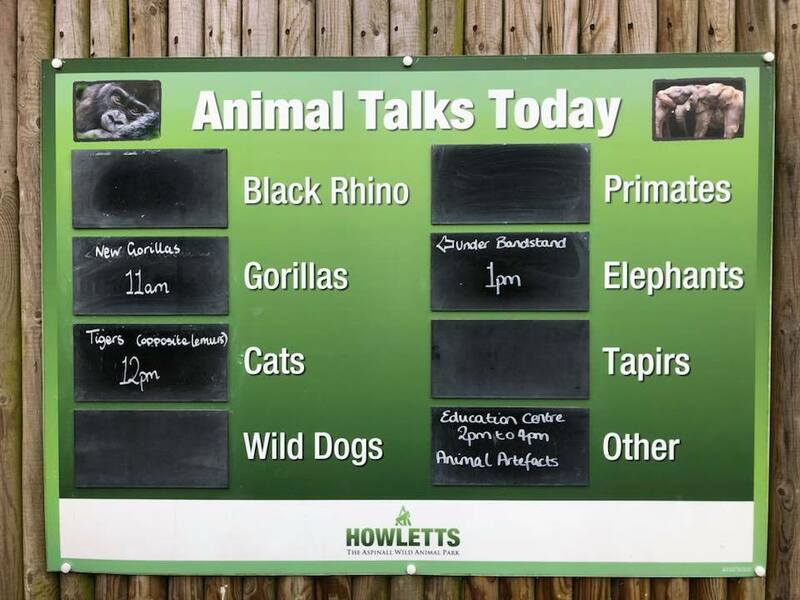 A day ticket to Howletts costs £21.95 per adult, Child (3-15 yrs) £18.95 and a Family Ticket (2 adults & 2 children) – £70. If booking more than a day in advance online you save 20% and season tickets are also available. For further information including opening times, entry prices and special events please visit the website. One thing worth mentioning is that there are activities not covered by the admission price – close animal encounters are pre-bookable only on the website, the Treetop Challenge costs £7 per person and the Animal Adventure Challenge for 2-5yrs is £2.50 per person. There are special events, offers and all sorts going on through the year – for more information visit the website. After a long day we headed home – someone was tired!